This is a panda. Pandas have thumbs. Why do you think they have thumbs? Pandas have thumbs so that they can grab bamboo, which is the only food they eat. 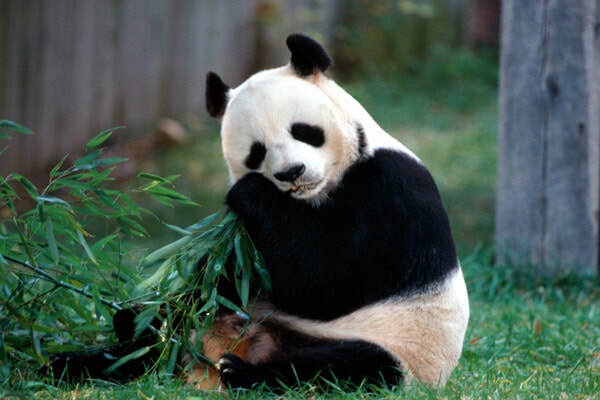 Did you know that the ancestors of pandas – who lived long, long ago – did not have thumbs? How do you think they came to have thumbs?